2019 is going to be a great year for the women's game, the FA WSL is in full swing and there is a race for the top between Man City and Arsenal who is going to come out on top... well this year you really can't tell as it has been so close between the teams. The NWSL is set to kick off soon and what a season that will be will North Carolina come out on top again? Or will other squads strengthen from last season and put up a fight? I am really hoping that the Pride & Thorns can come close. Then there is the highlight of the year for me... the World Cup. Forget last years men's one this is going to be fantastic and I have a post coming up nearer to the start with my top picks. 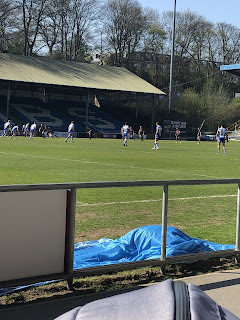 There are players going from strength to strength every year and here are my top picks for the ones to keep an eye on throughout 2019. 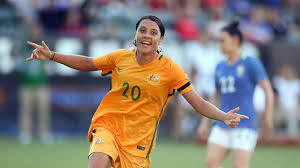 Sam Kerr is a goal scoring machine who is breaking records in both America and Australia, if teams don't pick up on her and she is in front of the goal 9/10 that ball will be in the back of the net. She is still only young but really has made a name for herself already. She is definitely one to watch in the World Cup as Australia have just sacked their manager and the team really need to pull together, however I think Kerr can be a big threat to any team she is up against. 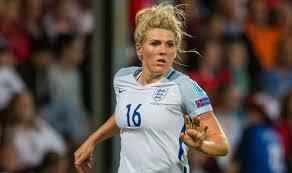 Millie Bright is by far one of my favourite defenders at the moment. She is what I call a no nonsense defender who isn't afraid to go in for a tackle. Not only is she a brilliant defender but she is a danger at set pieces too along with her long range shots been absolutely fantastic. She is going to be a crucial player for England in the World Cup especially in the group stage against Japan. Ellie Roebuck is currently fighting for the number 1 spot at Man City alongside Karen Bardsley and too say she is only young she is doing a really good job, I have seen her pull off some fantastic saves in her games for Man City and she is not only one to watch for 2019 but for the future as well. I can't see Ellie getting into the World Cup squad this year unless some others are hit with injury but I do see her been a huge player for Man City and their battle for first place. 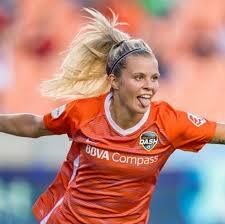 The only Leeds fan I will follow and a Yorkshire lass taking the NWSL by storm, so many Americans I talk to always mention how good Rachel Daly is as a player. She has not only seriously improved season after season at the Houston Dash but she has also found her way back into the England squad and is playing brilliantly for them too. I think Rachel could make a big impact in England's world cup campaign if selected so fingers crossed for that. One of my favourite things with Rachel is she can play out as a defensive back or up as a forward, although my favourite is when she is a forward as he is a massive attacking threat. Not only do I think she will do well for England but I also think she is one to watch over in the NWSL again as I think she could have a really strong season... fingers crossed they can keep her injury free. Now Alex Morgan is on this list for 2 reasons, the fact she is coming up to a milestone of 100 goals for the USWNT so that is something people are going to be following throughout 2019. When are the goals going to come? Who knows, but I am sure it will be before the world cup campaign begins. Alex is a household name in the women's game and so she should be as she is one of the best players in the world right now however, she didn't have a particularly spectacular season with the Pride in the 2018 campaign. That is why Alex is going to be one of my ones to watch in 2019, I can't wait to see how well she does with the new manager coming into the Pride & all the focus on the build up to the world cup. Fingers crossed she does have a good season and world cup but I just really want to see Pride in those play off spots this year. Unfortunately one of my favourite players Kelley O'Hara was hit by injury throughout the season and at the end of last season she ended up having ankle surgery, but everyone knows when something happens to Kelley she comes back fighting and stronger to prove herself that is why she is one of my favourites because she never stops believing and keeps going from strength to strength. I think after battle backing from surgery and previous injuries Kelley will be playing one of her best seasons for the Utah Royals as she has a point to prove and a place to earn on the USWNT squad for the world cup. This can really benefit Utah too and I can see them really pushing for a play off spot this season. 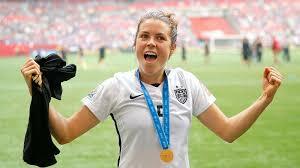 Kelley is also a big moment player like her goal against Germany in the 2015 world cup which was fantastic so if she can pull something like this off again I think her name will be out there more than it already is and a lot more people will start paying more attention to her as a player. 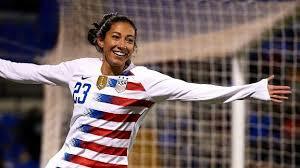 Christen Press in my opinion is one of the most underrated players on the USWNT she isn't given a chance any more and I honestly can't see why as she is a fantastic player and a proven goal scorer. Christen isn't afraid to take a chance at goal and her skills are just as good as her finishes. If given a chance she can prove to be a huge piece of the USWNT's success in the world cup however, if they don't play her and don't play the right players around her they may suffer. Christen is another player who has had her set backs but always comes back and surprises people, I seriously believe her time playing abroad has really benefited her and some teams just really can't cope with her. Another thing that impresses me with Christen is her ability to go and attack at defenders with confidence which is something you don't always see these days. I think if she is still at Utah this season she can really help them in that push for the playoffs and I can see her and Kelley linking up really well. Finally we have my overall favourite player at the moment... Tobin Heath, what a player Tobin is, in 2017 Tobin unfortunately had a lot of time out due to injuries. Then she came back and in 2018 had a brilliant season for the Portland Thorns and did really well in the USWNT too, in fact I think it was her best year in a while. I believe that if Tobin can stay injury free the Thorns could easily benefit from this and end up in the playoffs again and the USWNT can get to the world cup final. 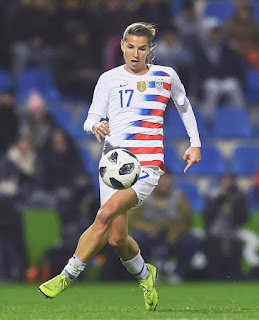 Tobin's skills are out of this world, half the time I don't know how the ball is kept in play but she does it, but she isn't a player to show off and do the skills and lose the ball every time, she does the skills and gets the team into a better position than below. She is a play maker who can also get the goals when needed. Tobin will be a big threat to most countries throughout the world cup and I can see her running people ragged and creating plenty of opportunities for the USWNT. She is definitely one to watch for the skills and the passion for the game, that is why she is one of my biggest inspirations too she never gives up. So there you have it those are my ones to watch through 2019, I just cant wait for the NWSL and world cup to start but first up the She Believes Cup.